In Pixel Monsters Online you’ll be able to embark on an epic single player campaign where you attempt to save Planet Pixel from the evil Snatchers Gang. 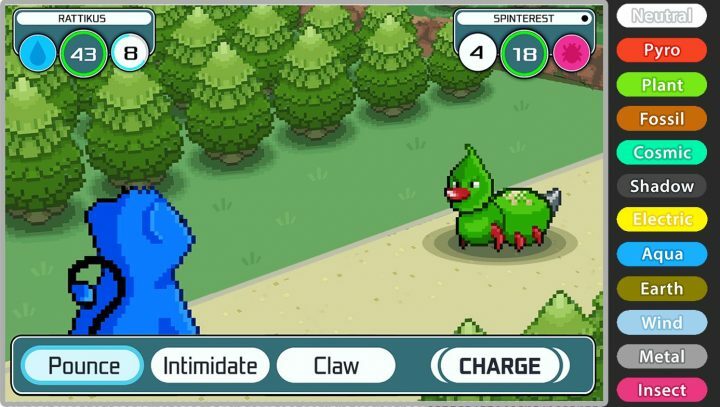 As you explore the world you’ll catch, hatch, tame and fight your own little Pokémon style monsters and you can even use them in online battles against other players. The game will also have an online trading system and online chat features. It is pretty much a Pokémon game in all but name, but with some useful and fun online features that Nintendo and Game Freak seem to be dragging their heels about adding to their popular franchise. Obviously it’s unlikely to be as polished as Pokémon but it could be fun and the online features should make your journey feel a little less lonely.